If there is a musical equivalent to rock climbing without a rope, local musician J. Ashley Miller is doing it. 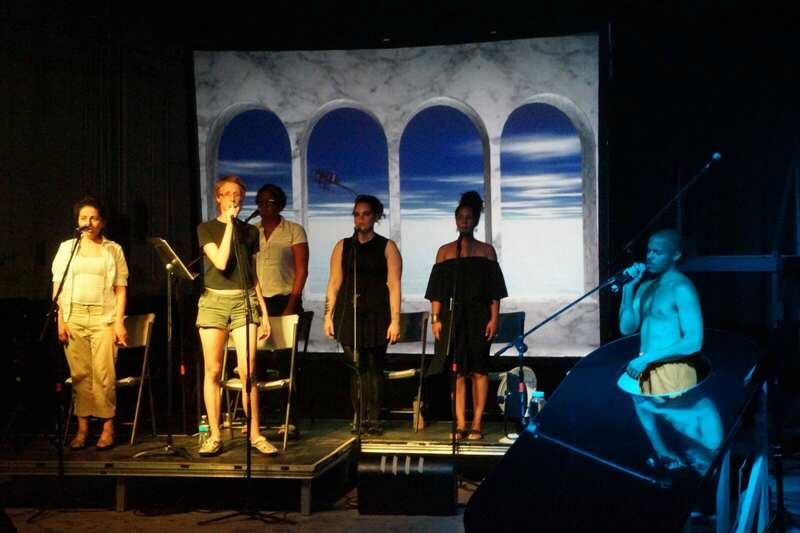 Miller, 34, has spent the last year developing a “brutalist pop opera” despite having no formal training in the genre and limited theater production experience. 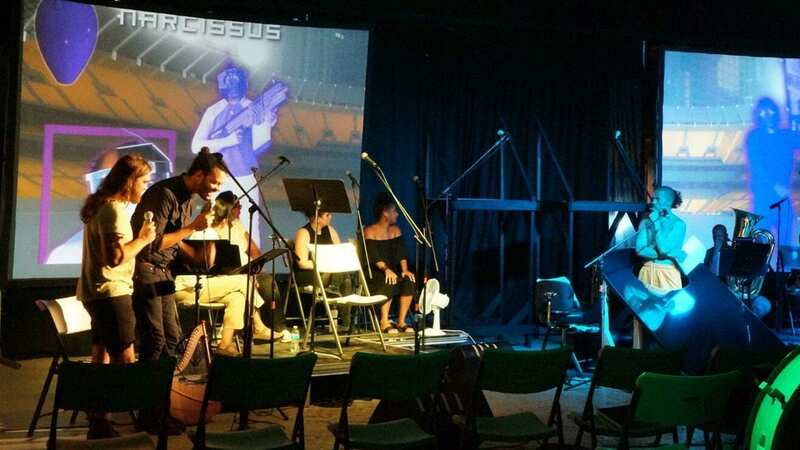 The project, “Echosis,” will debut this weekend with a two-night run of stage readings at a warehouse location off Southwest Boulevard (2745 Southwest Blvd, Kansas City, MO 64108). The Kansas City native wrote the script and composed original music for “Echosis,” which will present a modern-day retelling of the Greek myth of Narcissus and Echo — where Narcissus rejects Echo’s sexual advances and meets his slow demise after becoming obsessed with his own reflection. 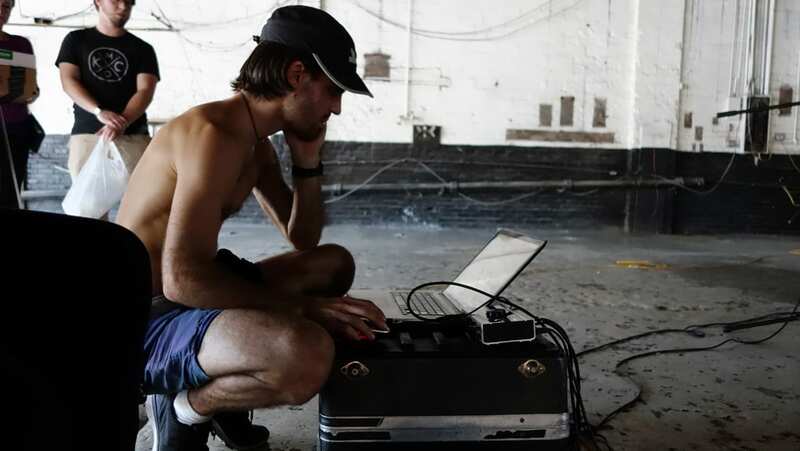 It’s an ambitious task, but this type of experimental risk-taking is nothing new for Miller, who has been something of a musical chameleon throughout his career, frequently changing styles and exploring new genres. He’s been a part of several local bands like The Golden Calves, Metatone, Quadrigarum, and Atemporchestra – a collaborative, multi-discipline music project that performed during the finale of TedxKC 2015. The decision was not reached lightly, but Miller was positive about the move – noting that the level of commitment his collaborators had put into the project warranted more development. This weekend’s stage readings, which are open to the public, will showcase the bulk of the concept, including the scripted narrative, and more importantly – the music. For the musical component of the story, Miller employs pop music, shaded through an operatic lens. The genres of the individual tracks for the opera span an impressive range, representing elements of R&B, ambient, industrial, and electronic music. The production is tight, the music is pulsing, and the tone seamlessly weaves between dramatic landscapes. Miller composed the musical arrangements using Ableton Live – a songwriter-friendly piece of software akin to a Swiss army knife for songwriters. In order to realize that vision, Miller had to go outside of his comfort zone and seek musicians with differing levels of experience, spanning from self-taught to classically trained. The result is a hybrid orchestra that will combine digitally produced tracks and percussion with live musicians playing acoustic instruments. 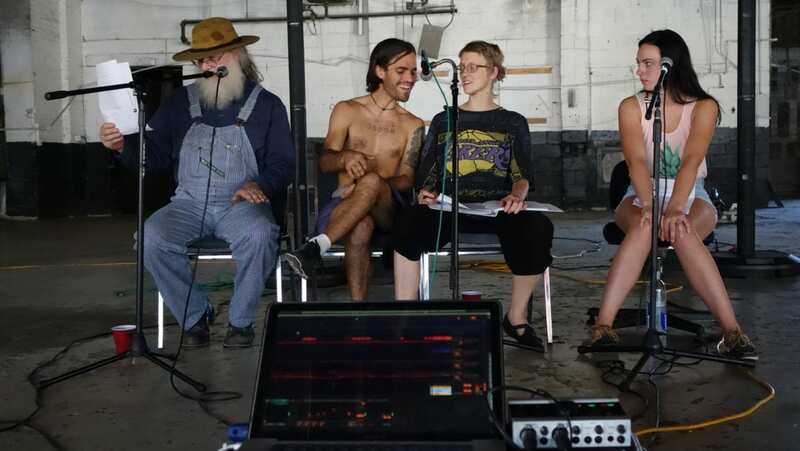 Similarly, the performers for Echosis come from multiple disciplines. Some are talented pop vocalists like Benja Lyman (Narcissus) and Calvin Arsenia (Hermes), and others have formal opera training, like Victoria Sofia Botero (Hera), a classically trained soprano. Managing the production for “Echosis” also required an element of collaboration, as Miller learned that he could not juggle the direction for every element of the performance alone. After feeling overwhelmed during a few rehearsals, Miller sought outside help. The actors work through the script during dress rehearsal on Wednesday. From left, Victoria Sophia Botero, Andi Replogle, Valerie Lee, Ashley Bellinger, Melissa Searle, and Benja Lyman. To deal with the workload, Miller brought on Richard Gammon, a New York-based stage director and graduate of the University of Missouri Kansas City Conservatory of Music and Dance who has worked with operas all over the country. With the cast, staff, and music set, this weekend will provide Miller with a workable snapshot of the production and some direction for the future. He hopes to continue developing the opera over the next year and eventually debut a complete performance in a more traditional venue. But regardless of the what form the production ultimately takes, Miller remains dedicated to his vision and the risks necessary to bring it to a full stage production. — Interested in watching “Echosis” this weekend? If so, share with us by commenting below, emailing pdancalderon@gmail.com, or tweeting us @dansascity.